Back To School - All Hail the New Hall! All Hail the New Hall! A new, privately built apartment building leased for UW-Eau Claire students will soon open on Water Street. The mixed-use building at 222 Water St. is named in honor of three people who’ve given more than $1 million to support the university over the years. Aspenson Mogensen Hall was named after Eau Claire business owners John Mogensen; his daughter, Michelle Mogensen; and his partner, Lisa Aspenson. The new facility will house UWEC students in apartments on its top three floors beginning this fall. A total of 201 students will live in a mix of one-, two-, three-, and four-bedroom apartments. Retail and office businesses will be located on the first floor. In late 2016, the Blugold Real Estate Foundation, a supporting organization of the UWEC Foundation, partnered with Mogensen, Aspenson, and Investment Realty, a company owned by Mogensen, on the project. “Our collective goal was to build safe, secure student housing in close proximity to campus,” said Kimera Way, Blugold Real Estate executive director. 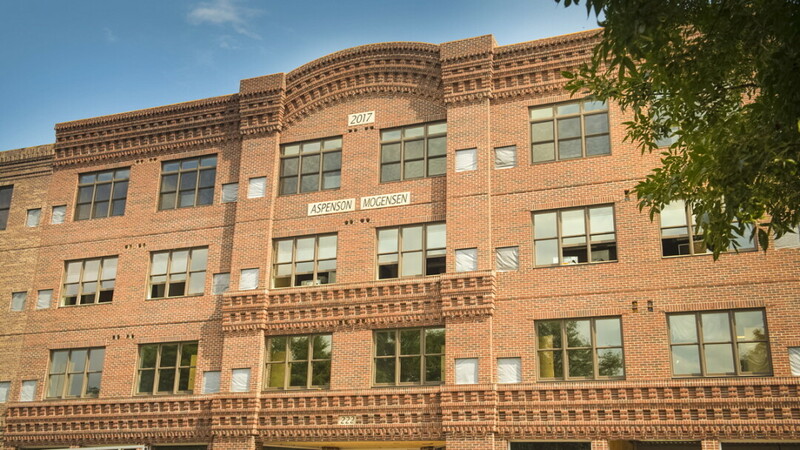 “This is in response to the university’s chronic housing shortage and the anticipated renovations of existing campus housing, creating a need for overflow housing.” The partners formed a condominium association and agreed that Blugold Real Estate would own the student housing floors, while Aspenson and the Mogensens would own the first floor, Way said. John Mogensen, Aspenson, and Mogensen’s daughter, Michelle Mogensen, have a long history of generosity in support of the university through the UW-Eau Claire Foundation. Before the partnership with Blugold Real Estate, they had provided an annual gift-in-kind by significantly discounting the lease price for the Water Street building (since razed) that housed the university’s Continuing Education department. Mogensen and Aspenson also have generously supported the university’s Martin Mogensen Education Lecture and Scholarship Fund, which was created in memory of Mogensen’s uncle.